The Evening Grosbeaks, (Coccothraustes vespertinus) are large finches found in coniferous and mixed forest across Canada and the western mountainous areas of the United States and Mexico. Large white patch in the wing. White patches in the wings. 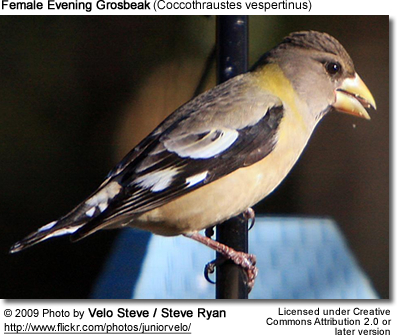 These grosbeaks mostly feed on seeds, berries and insects. 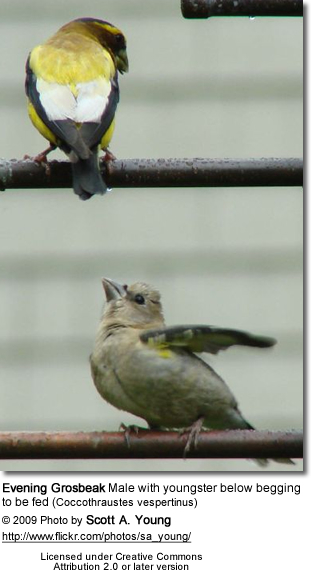 They will also readily take advantage of bird feeders. Chicks are raised in cup-shaped nests constructed out of twigs and other plant material. 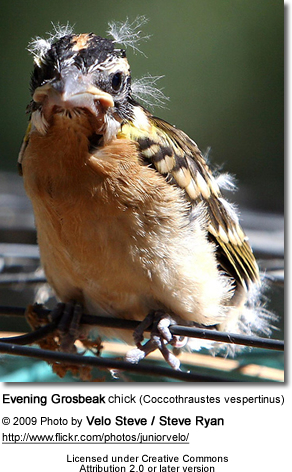 Their nests are typically placed on horizontal branches or in forks of trees.